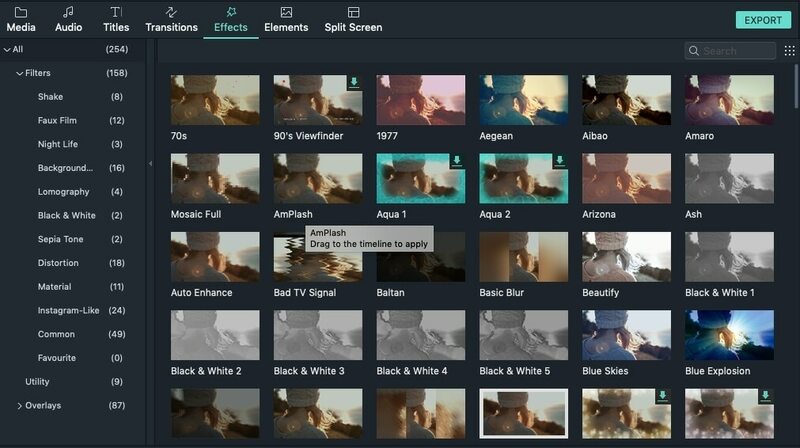 A guide to using Filmora9 Video Editor. Quick tips and tricks for making videos. Inspiration and effects for your videos. You can use filters to change the look of your video with a few click. 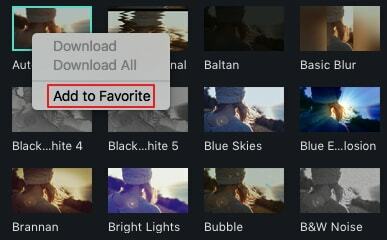 You can use Wondershare Filmora9 to add as many filters and overlays as you want. Three ways you can use to add filters and overlays to a video. Click Effects in the Media Library, and then select the filters or overlays you like. After hovering your mouse onto the thumbnail, you can see a plus icon in the middle. Click it, then the effect will be applied to the timeline. Just drag-and-drop the effect to another timeline or onto the video clip. The effect will be used on the whole clip if you drop it onto the video clip. Note: You can replace the black bars by cropping and resizing. Two ways you can use to remove filters or overlays from your project. 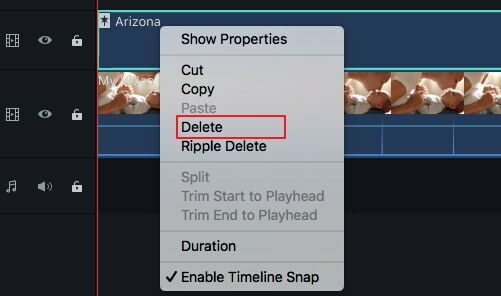 After selecting the filter/overlay in the timeline, hit Delete on your keyboard. Right click on the filter/overlay in the timeline and select Delete from the menu. You can find all filters and overlays by themed categories (i.e. Faux Film or Bokeh Blurs). Besides, you can also search the filter you want at filter library. You can change the duration or opacity of filter effects in Wondershare Filmora9 . The default length is five seconds, but you can change its duration by dragging the edge of the effect in your timeline. The alpha opacity (transparency) property has a value of 0-100. The lower the number is, the more transparent the filter is. You can double click on the filter in the timeline to customize its opacity. Then in the Preview Window to view the effecs. Right click on a filter effect in the Effects menu. Select Add to Favorite. Then click Favorite category below to find it again.